Infinite Art Tournament: The Infinite Art Tournament Second-Round Elimination: GRUDGE MATCH: Champaigne v. Chagall! The Infinite Art Tournament Second-Round Elimination: GRUDGE MATCH: Champaigne v. Chagall! Two weeks ago today, we witnessed The First Ever IAT Grudge Match!! Today, we are gathered here together to get into this thing called The Second Ever IAT Grudge Match!! And you might be thinking, "hmm, are Grudge Matches going to start falling hard and heavy now?" The answer is, I don't think so. They'll be most common in the Second Round Elimination matches, though, and we've been working through a lot of those lately. Leaving the tournament: Giorgio De Chirico (1-2-0; 18 cumulative votes for, 21 against) and Christo (1-2-0; 16-22). Lost a closely-fought match to Cezanne in Round 2. Ran rings around Christo in the Left Bracket Second Round. Oooh, nasty matchup here. 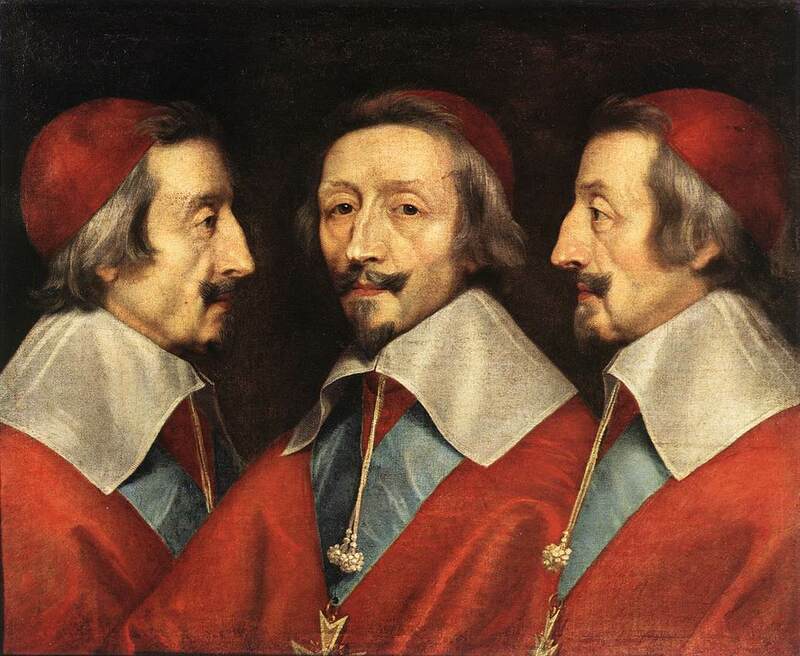 I'm going with Phillippe de Champaigne today, because I really do like the three views of the Cardinal, and am enjoying the delicious shivers produced by the tulip and skull. 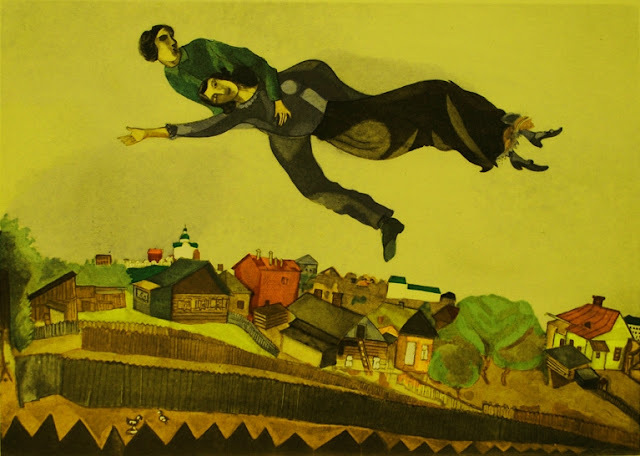 And while Chagall is excellent of course, today I'm less in the mood for imaginary dreamscapes and more taken by the uncompromising message of YOU ARE GOING TO DIE. Last time I voted for Champaigne. It looks like my tastes haven't changed! And I am loving that skull. Champaigne for me, please. This is a toughie. I'm a sucker for a well-painted skull, and you can't beat three identical cardinals. But I also like Chagall's trippy color explosions. I'm going with Phillippe de Champaigne. It's tough to vote against Chagall, but I'm going to have to in this case. 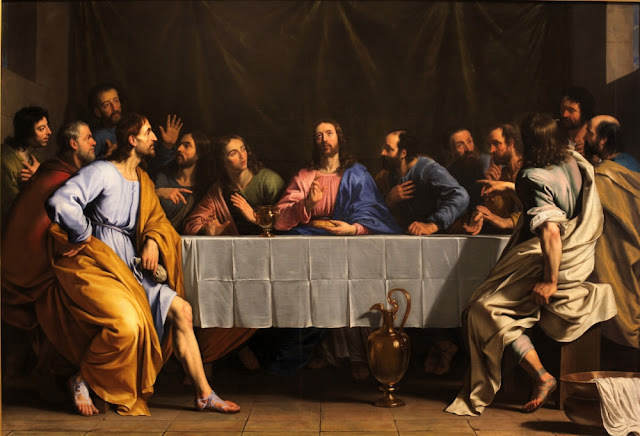 The technical prowess of Champaigne win him my vote today. 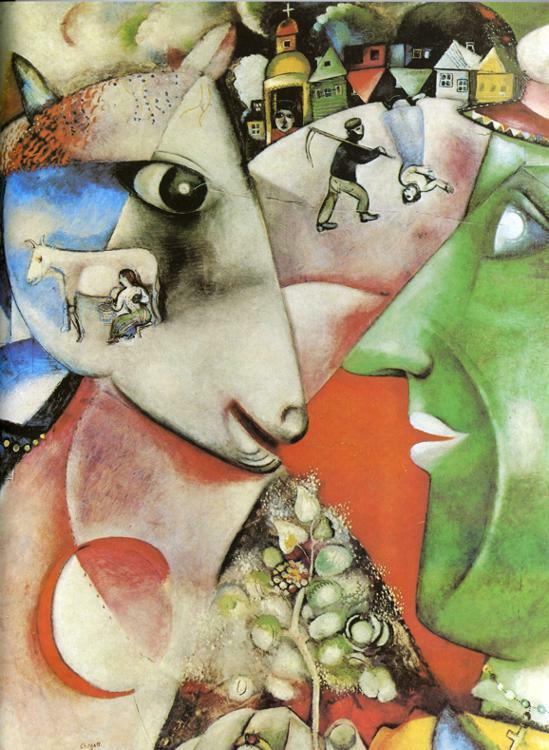 OK, I just can't imagine modernism without Chagall (next to Klee) at the gentle end of the spectrum--his lyrical scenes and vibrant palette, his willingness to reinvent rather than sever ties to religion, history, the observed world. He totally has my vote. Chance is in the house! Long time no see! Chagal! I feel like this is no contest today. Let's see. Am I voting for the painter or the painting? Oh, screw it. Chagall. And I'm delighted this vote made me go check out his stained glass. Wow, wow, wow. This one is really hard. I love Chagall but Champaign's skull is really calling to me. 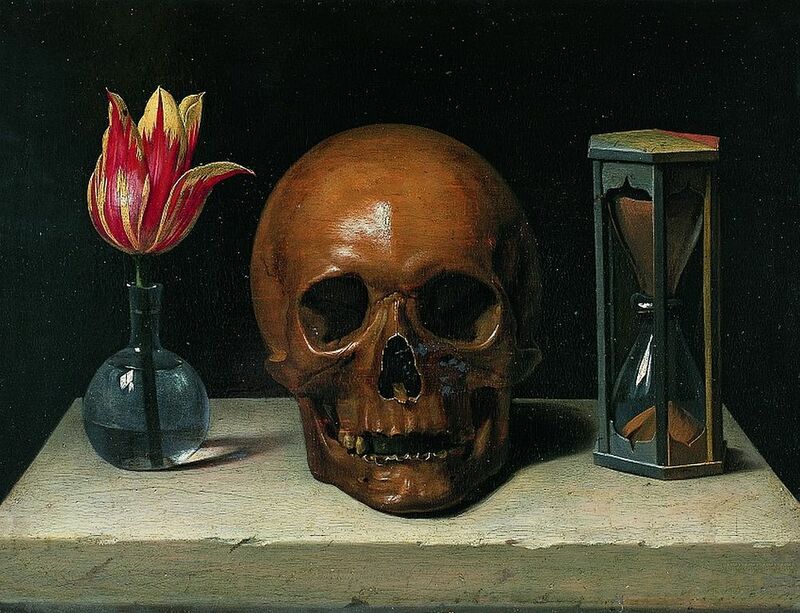 I think I"m going with the skull! 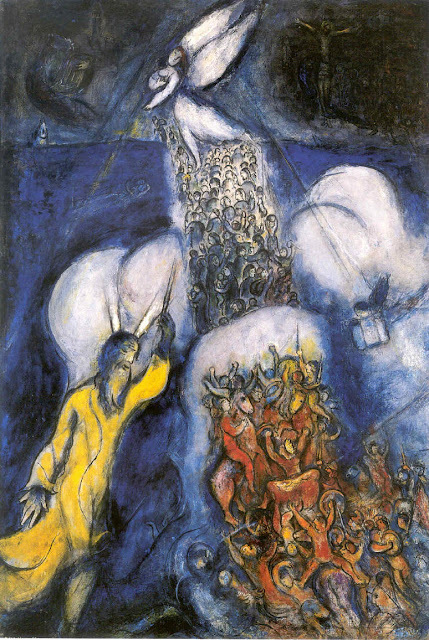 Chagall has such a good imagination, using his Russian- Jewish background to make beautiful pictures. Here's a postcard vote for Champagne. In what has to be seen as a major upset, Champaigne piled up 8 votes to Chagall's 7. THAT'S WHY WE PLAY THE GRUDGE MATCHES! Champaigne marches on to another tough match; Chagall heads off to the locker room in stunned disbelief.